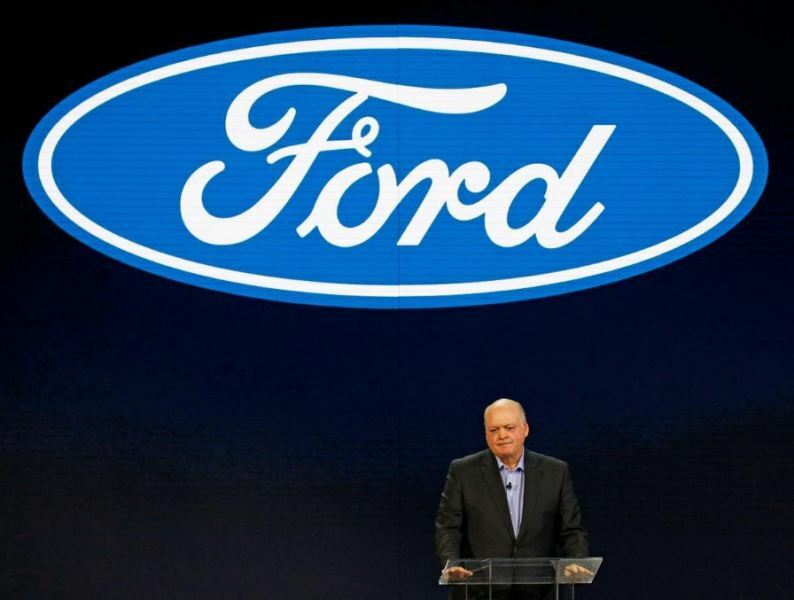 Ford Motor Co Chief Executive Jim Hackett told employees late on Thursday the No. 2 U.S. automaker would not accept last year’s “mediocre” results and said the company was aiming to nearly double its annual operating profit. Ford is restructuring its global operations, including recent plans to make cuts in Europe. It also has announced an alliance in commercial vehicles with Germany’s Volkswagen, with plans to jointly develop electric and self-driving vehicles, in moves meant to save billions of dollars. Ford announced its fourth-quarter results on Wednesday, reporting a 2018 operating profit of $7 billion with a profit margin of 4.4 percent, down from 6.1 percent in 2017. Ford said last week that its target for operating margin was more than 8 percent. Hackett did not give a timetable for hitting the $14 billion target. A Ford spokesman said Hackett was simply doing the math to show employees how the margin target translated to overall profit. Ford did not provide Wall Street with a specific financial forecast for 2019. It simply said it had the potential to improve earnings and revenue. That was in contrast to Ford’s larger U.S. rival, General Motors Co, which on Jan. 11 forecast higher 2019 earnings that far surpassed analysts’ estimates. He said Ford had been considering moving up its time frame to electrify its product portfolio since he took over and asked how the company could learn from the trends it missed in China, the world’s largest auto market, where it is losing money.